There are many people who still love to go to Mass where the prayers are in Latin. They love to hear the Gregorian chant. These books and tapes will help you to learn about the Latin Mass and to experience it in a more powerful way. Latin English Booklet Missal - Book of Prayer, Softcover, 68 pp. 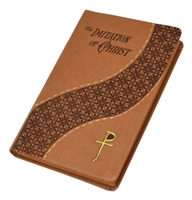 The New Marian Latin English Missal, For Daily Gregorian Mass, by Sylvester P. Juergens, S.M. Know Your Mass. An Illustrated manual of instruction on the Traditonal Mass in Latin.